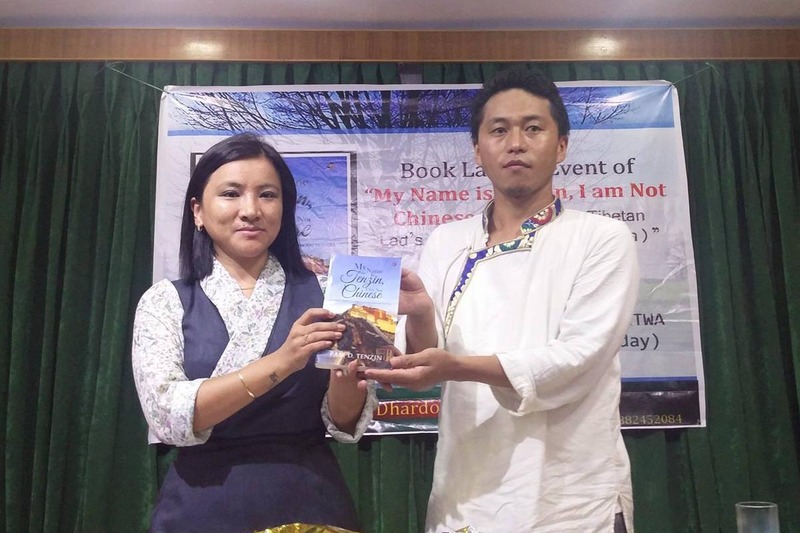 My Name Is Tenzin, I Am Not Chinese, a new book written by Tenzin Phuntsok, was launched on Friday in Dharamshala. Written under his pen name Pam D Tenzin, this is his debut book. In first-person narrative he tells about a young Tibetan’s experiences as a college student in Chennai, India. He grows up in a new environment in India, and attends an Indian college, while being influenced by Bollywood. But he never forgets his roots, and is very conscious of his Tibetan identity. His strong sense of Tibetanness, and the longing for his home and to see his mother again, led Tenzin to write this book to set the record straight. He wishes to show people how “The Tenzin” was uprooted from his Himalayan home where he really belongs. Tenzin Phuntsok was born in Tibet. He escaped to India at the tender age of nine, to get better opportunies in life. He left his mother behind, and may never see her again. He lives in Dharamshala, the capital of the Tibetan Diaspora, and works at the Tibetan Centre for Human Rights and Democracy. The book was published by Notionpress.com, and is available online for Indian rupees 320.